My story begins at university, sharing a house with 6 others, dealing with a rat infestation, whilst trying to convince my flatmate that perhaps he could wash up his week-old dirty plates. My friend and I decided to go to a free yoga class on campus. I couldn’t believe how different I felt after that class. I could have dealt with anything, I felt peaceful, content, all my first world problems were put back in perspective! I looked at my 60 year old, fit, healthy, serene yoga teacher and I thought she must be doing something right! I was hooked! I started my career as a teacher in a Special School working with children with Autism, ADHD, Global Developmental Delay, Tourettes, Dyslexia and Dyspraxia. I loved working with these children, we laughed every day and I had to think outside the box as to how I could, connect, relate and shape each child’s learning. Being someone who loves variety, meeting new people and learn new things, I spent the next ten years travelling and working as a teacher in different educational settings in the UK and abroad. Working with children with special educational needs was always where my heart was and 10 years into teaching I started to notice more and more children struggling in schools. That catapulted me into working in pupil referral units for children who had been expelled from mainstream. One pivotal day in a challenging school in East London a teenager lost control and attacked my colleague and I. It was a very unpleasant experience as my colleague was badly hurt but I just remember feeling overwhelmingly sad for this boy. This particular child had a extremely tough start to his life. He had challenges I couldn't even imagine as well as having learning difficulties, I thought, “no wonder he is angry”. When trying to ‘educate’ these children I often felt that teaching them algebra was pretty pointless if they living in a constant state of fight or flight. My colleagues and I were also dealing with the anxiety that we could potentially get hurt by our students. What really hit me was that this is happening every day and what is being done about it? I saw that the only part of that week the children were calm and relaxed was when the massage therapist came in. I started to think more about therapeutic approaches for children I decided to hand in my notice the next day and retrain as a yoga teacher so I could share with other people the benefits of yoga. Soon after my yoga teacher training I discovered Special Yoga, with Jyoti Manuel and was blown away. When I saw a boy with Autism walk into the yoga room, sit on a mat, close his eyes and focus on his breathing I knew this was a powerful and important practice. Special Yoga’s ethos is that all children are special and deserve to feel peace, joy and fulfilment of their potential and purpose. It helps children feel comfortable in the bodies that they have, focusing only on what the children can do not what they can’t. Yoga with children became my mission. I started by teaching the children I was working with, teaching yoga in primary schools, nursery schools, special needs schools and in occupational therapy settings. 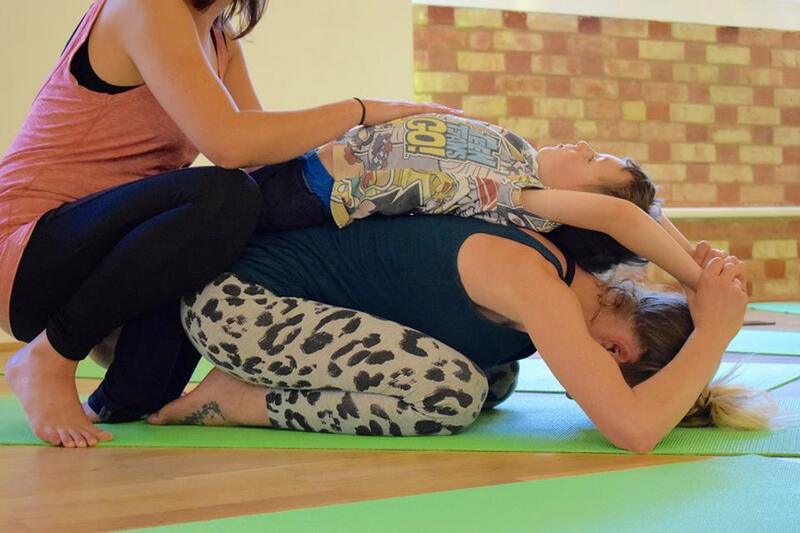 In Jan’ 18 my own business was born ‘Yogagems- where unique children shine”, my one woman effort to share yoga with children therapeutically using my years of teaching experience and special yoga methodology! The last year has been challenging, joyful, confusing and extremely satisfying! I have taught Special Yoga in special needs schools, 1:1 with children therapeutically at the wonderful Treat clinic and set up a monthly family yoga class for families with children with additional needs at Happy Om studio. I am also involved with the Hamlet Centre and am embarking on a project to get Special Yoga methodology into schools. What I really want is for families to know that ALL children can do yoga no matter what condition they might have! Their uniqueness is what makes them shine!